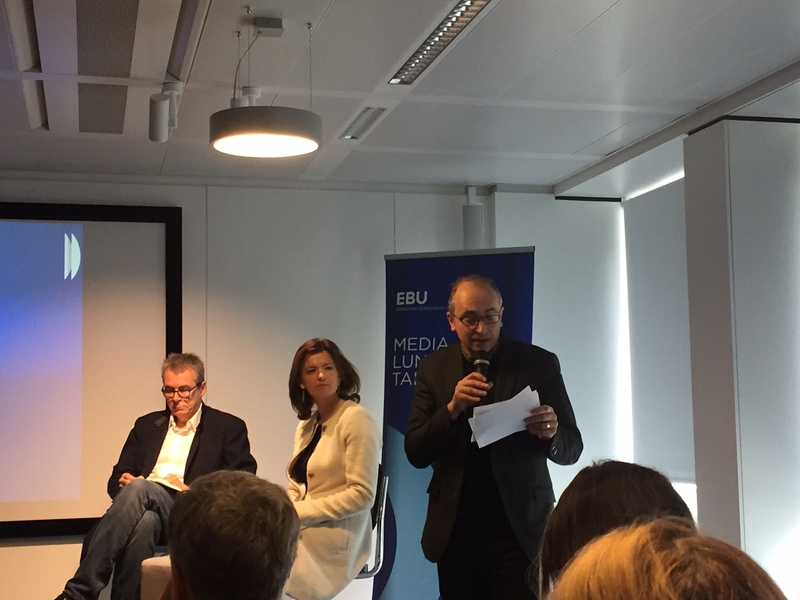 The European Broadcasting Union (EBU) in collaboration with the European Federation of Journalists (EFJ) organised today (29/03/2017) a media lunchtime debate on How is Europe’s Media fighting fake news and disinformation. Ricardo Gutiérrez, EFJ General Secretary, acting as the moderator of the debate, stated the importance of media literary on this issue. “Fake news are not a bad news for journalists. It shows we need them more than ever before”, he said after sharing the latest report on fake news published by Reuters Institute. Eric Scherer, Director of Future Media at France Televisions, spoke about the growing role of social media, mentioned fact checking initiatives taken by Facebook, Slate or the Washington Post. After the US elections, France Televisions also decided to take several measures to combat fake news, among them internal training and media literacy for public. They also believe that collaboration with Facebook on this topic is crucial, even though not everyone in the industry agrees with this opinion. Eric Sherer stated that the newsroom should reflect the audience, that’s why the role of millennials is important. The director showed a short video on how France Televisions is using fact-checking to cover presidential elections in France. 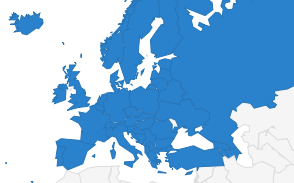 How to double check before sharing with friends ? Is the information real or plausible ? How the same information has been reported everywhere else ? If yes on the Internet, are print/radio/TV media also reporting about the same news ? What the source sharing the information ? 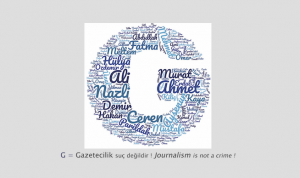 Do you know this media ? Mexican journalist Inder Burgarin shared his experience on covering US elections. “At the beginning, most undocumented people living in the US expected that fake news issue is only a temporary problem during electoral period, it will disappear after because Trump will never get elected”, recalled the journalist. He pointed out that the consequences of the disinformation is not only the growing level of fear, but in some cases economical as well. When families of illegal immigrants in Los Angeles (US) read that they might be deported after the elections, they decided not to send their kids in school to avoid being separated with them. Further one of the parents had to stay home to take care of kids, so the family was losing a salary which is a negative financial impact on families of fake news problematic. 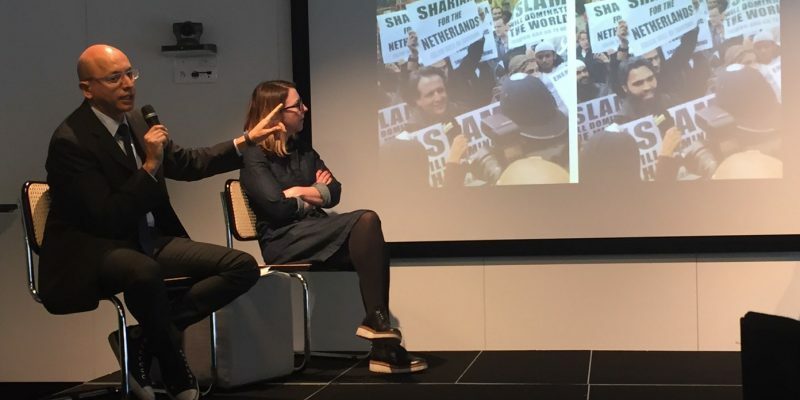 The Mexican journalist also mentioned a recent example from the Dutch elections, when the leader of an extremist party Wilders attacked on Twitter the candidate of D66 by sharing a obvious fake news. “Dutch society massively condemned the action which should be seen as a positive sign”, he said. MEP Tanja Fajon (Slovenia, S&D) spoke about the growing trend that people don’t believe journalists and politicians anymore. She said that it is important to distinguish between illegal and legal fake news and stressed the importance of funding media literacy projects. If the first one can be solved with a legal measures, it might be difficult to counter the latter without affecting media freedom. 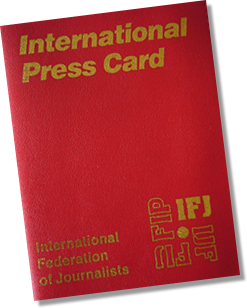 Fajon believes that it is important to encourage quality journalism in Europe and elsewhere. Photo Credit: Diana Krovvidi / EFJ.